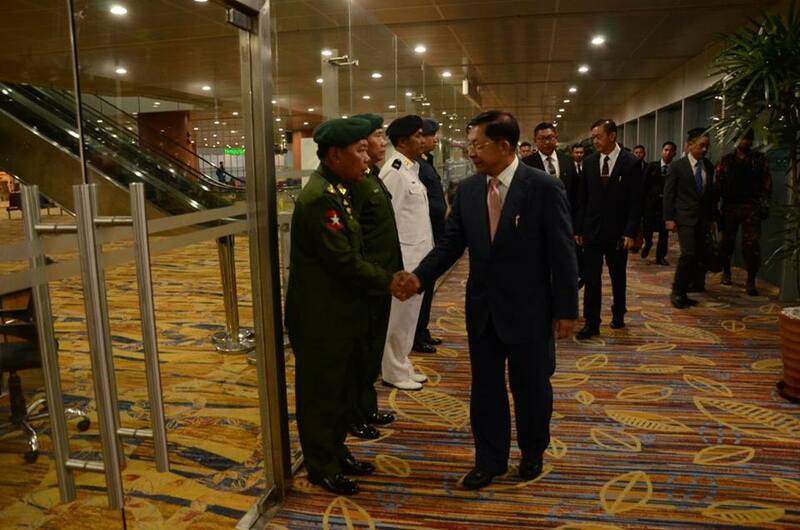 A Myanmar Tatmadaw delegation led by Commander-in-Chief of Defence Services Senior General Min Aung Hlaing left Yangon International Airport this evening to attend Singapore Airshow 2018 at the invitation of Chief of Defence Force of Singapore Lt. Gen. Perry Lim. 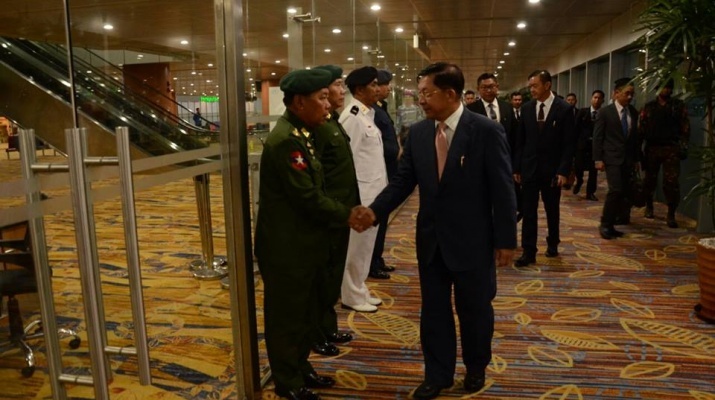 The delegation was seen off at the airport by Lt-Gen Soe Htut of the Office of the Commander-in-Chief (Army), Commander of Yangon Command Maj-Gen Thet Pon, senior military officers and First Secretary Ms.Sylvia Bay of Singapore Embassy to Myanmar. 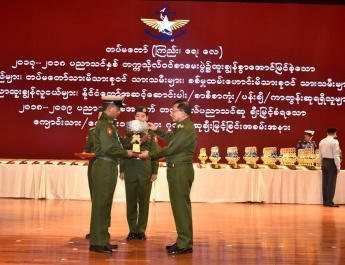 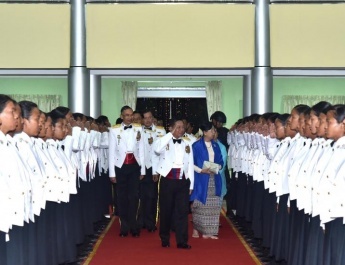 The delegation led by Senior General Min Aung Hlaing also comprises Commander-in-Chief (Air) General Maung Maung Kyaw and senior military officers of the Office of the Commander-in-Chief. 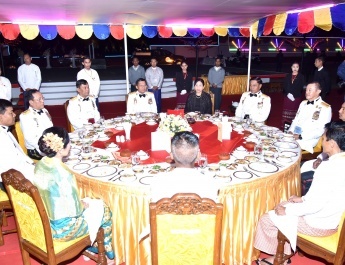 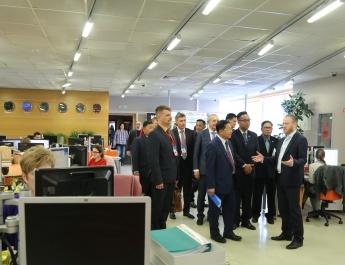 During the visit, the delegation will attend Singapore Airshow 2018 and meet the Chief of Defence Force of Singapore.